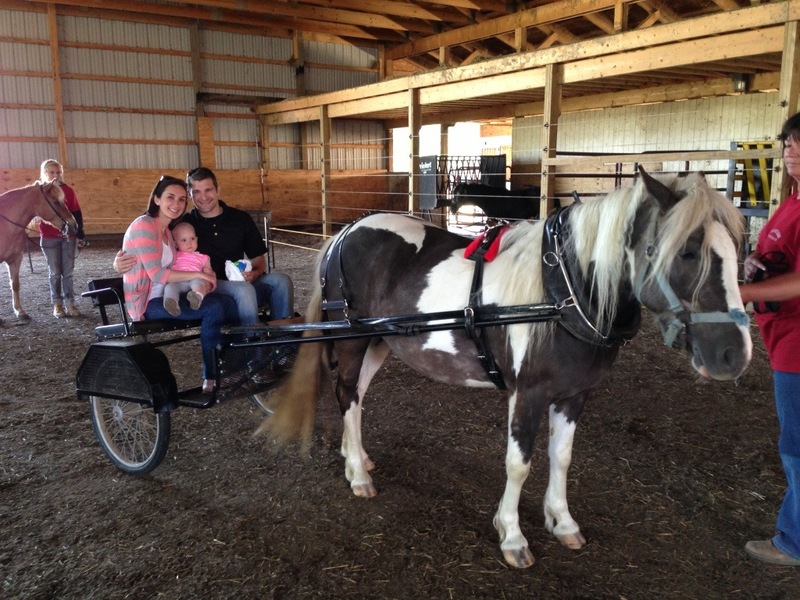 We found this petting farm very close to our house called Spring Mist Farms. What a neat little gem! 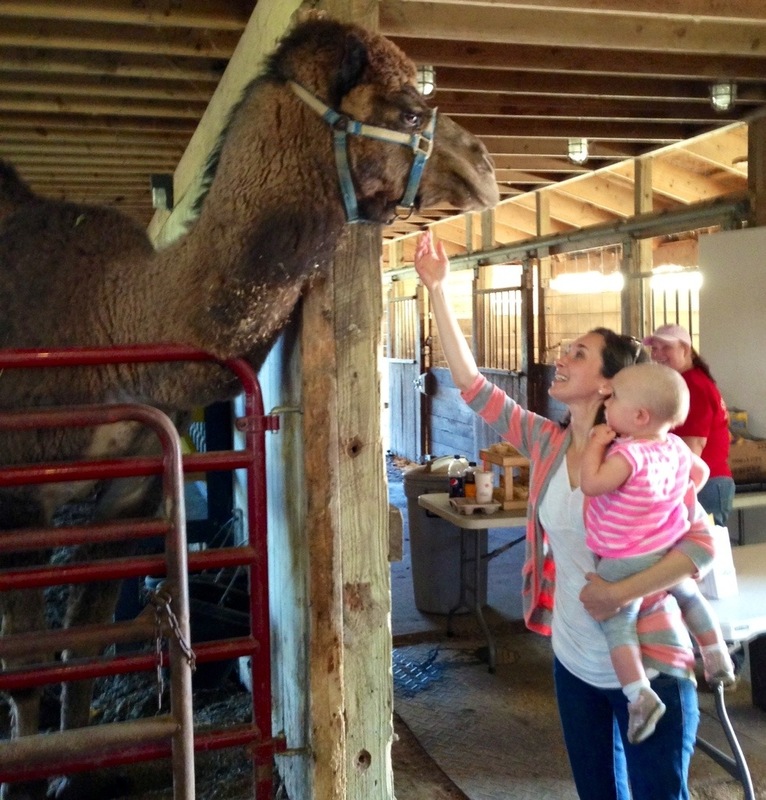 Meet and feed Charlie the camel. He greets you, literally, while you pay admission. He’s the sweetest little (big) guy. Bridget couldn’t take her eyes off of him and I had to drag Brian onto the next animal because he was so enthralled with him. 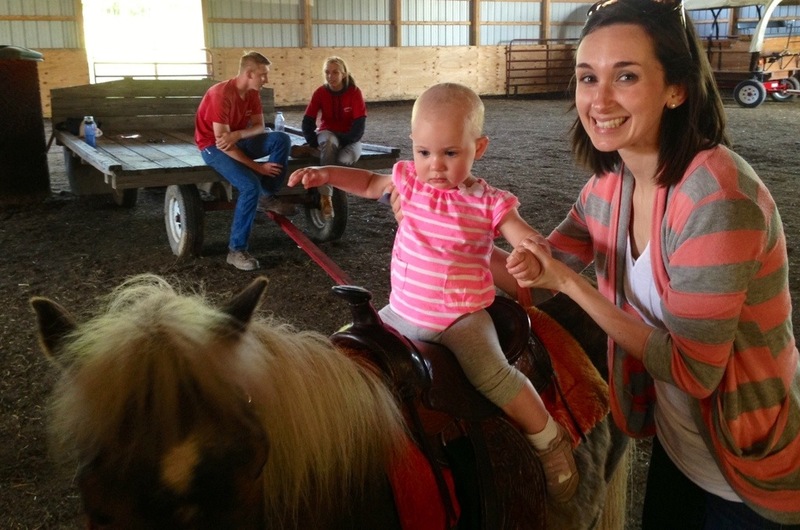 Take a pony ride with Bridget, saddle and all. It was quite the upgrade from her giraffe scooter at home and after the initial hesitation, she seemed to enjoy it. Be escorted in a carriage by another horse. In my next life, I want to be an equestrian. Horses are such beautiful animals. Pet (or view for some) goats, donkeys, sheep, llamas, reindeer, elk, pigs, cows. Oh and turkeys, ducks, and chickens; but I tried not to spend too much time with them. This place was such a great find: cheap entertainment, very nice staff, and close to home. We will definitely be back.